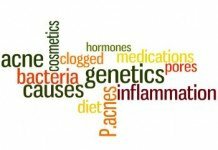 Unless you have suffered with acne throughout your life you have no idea how inconvenient, confidence killing and outright painful it can actually be. In most cases it’s a skin condition that starts in puberty and goes away in the late teens. But there are many adults that continue to suffer with pimples and chances are they always pop up when you least expect or want them. When you’re dealing with acne you have to take a two phased approach. First of all, there are many things you can do to reduce the chance of an outbreak. And secondly, there are types of treatments that do and don’t work well to get rid of the pimples when they do appear. 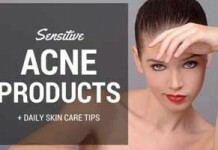 On this page we bring you a full guide of what you should and shouldn’t do as an acne sufferer. Many of these will actually be common sense. But at the same time there are quite a few surprises in there that you can implement immediately. With some simple changes in lifestyle and the way you deal with pimples you can make a huge difference to your skin and your self-esteem. As an acne sufferer, it’s easy to unintentionally do a lot of daily rituals that can easily aggravate your acne condition. A little care and a few daily routine changes can help you get rid of acne and all those pesky pimples. And this blog post will explain you exactly how to do it. 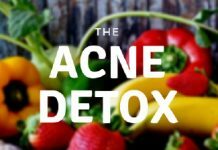 In the first part, we’ll explore what simple daily rituals might be the cause behind your acne aggravation. In part 2, we’ll figure out what you should do every day to take good care of your acne prone skin. I know how tempting it is at times to pick the hell out of that itchy pimple. But guess what? It is only a deceptive temporary relief and that pimple is guaranteed to haunt you back by spreading bacteria all over your face. Not just that, it can even leave a hideous acne scar on that spot. How soothing, isn’t it? The reason behind the prevalence of picking pimples irresponsibly is that most of us are completely unaware of the underlying phenomenon behind this act. When your immune system detects pimple formed on your skin it releases chemicals called cytokines. Cytokines are responsible for fighting bacteria involved in causing pimples. Squeezing pimples does not eliminate all the bacteria instead some are penetrated deeper in the skin layer and new skin grows on them leaving the bacteria trapped which in turn cause severe issues like cysts. 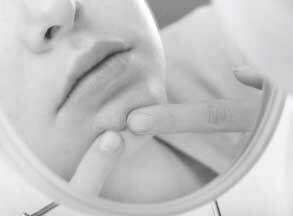 Moreover, picking pimples irresponsibly can destroy the defense mechanism of skin’s pore line. The pore line produces triglycerides which break down free fatty acids on your skin. Free fatty acids hold the tendency of dissolving the acne bacteria. And when you pop pimples you destroy the cells which make triglycerides. Now, you might be wondering, why am I using the phrase “irresponsibly picking pimples”? Is there are “responsible” way of picking pimples? It turns out, there is. But I don’t recommend it. 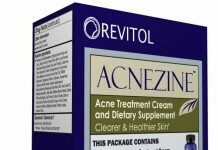 You can no longer dispose the fact that acne is related with your diet. To start with, you should limit the consumption of oily and fatty foods. 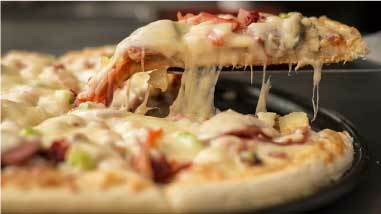 The reason is that the consumption of fatty and greasy foods leads to the hyperactivity of the sebaceous glands. Sebaceous (oil) glands are found in the skin and they secrete an oily substance known as sebum. The overproduction of sebum forms a soft stopple, building an environment in which the bacteria can thrive. 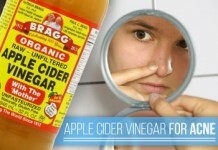 This leads to acne formation.You don’t want these evil members to colonize your skin. So, keeping a light hand on fatty foods is better than regretting it in future. Examples of some oily and fatty foods are French fries, pizza, cheese burgers, margarines, ice creams and milk shakes stuffed with whipped cream. Fatty foods such as these are categorized as saturated fats that increase blood LDL cholesterol i.e. bad cholesterol. This can stimulate the oil production in skin making it vulnerable to pore clogging. And you know the consequences now. 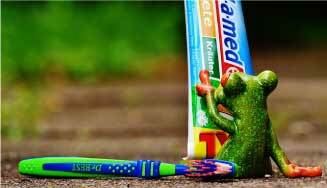 Applying toothpaste sounds like a great remedy when you get any sort of burning sensation, doesn’t it? And this burning feel also includes the one caused from acne. 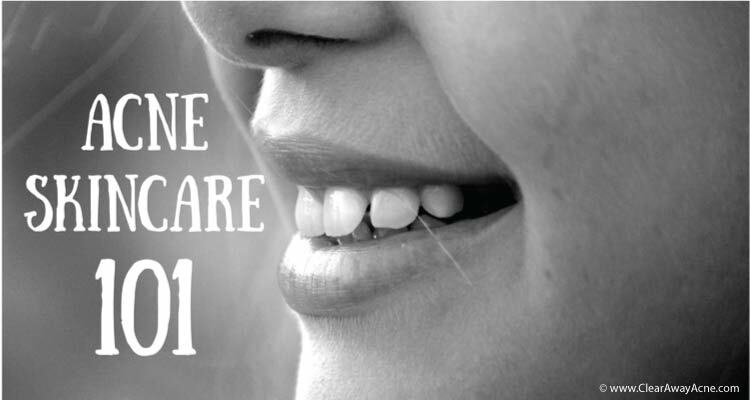 Although, it’s true that some toothpastes contain ingredients which play role in drying out pimples but on the other hand there are ingredients such as fluoride and whitening substance that might cause allergic reactions. In short, it’s better to save the toothpaste for your teeth. Skin treatments including facials are considered to be the shortcut for having an essentially spotless and clear skin. Sometimes, the results can be effective and sometimes they can be rather deceptive. Therefore, it’s better not to take the risk. If you find any of the above chemicals as ingredients of the scrubs and gels at spa, please stay away. I know that asking for a product’s ingredient list in a spa isn’t cool. But when your delicate skin is at stake, you should do it by all means. 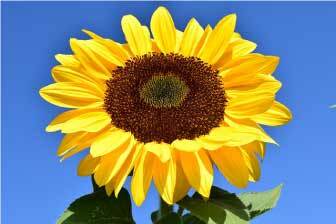 Summer brings up its own felicities, one of which is tanning. Summer means hanging out at the beach, absorbing rays to win that golden complexion. 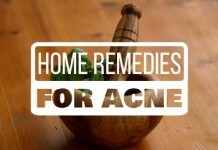 But have you ever wondered what bunch of problems it can produce if you are facing acne? Skin contains structural protein called Collagen which is responsible for keeping the skin elastic and is the vital component of connective tissues in the body. Tanning breaks down collagen turning your skin pores larger. 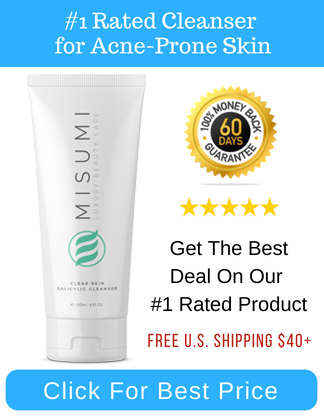 This makes it easy for all the sebum and acne causing bacteria to accumulate in the pores. Hence, making your skin more vulnerable to acne. Tanning acne skin leads to further skin irritation, redness and peeling which at the end gives you a horrible disastrous look instead of the hot exotic look you dreamt of. And so, tanning doesn’t seem like a good option. Do you crave chocolate and quiver with delight as the chocolate bar tickles down your throat? Unfortunately, I’ve got some bad news. Well, that’s saddening but a little cut down on chocolate wouldn’t feel much. If you are a fashion geek and you have your own signature styles, cosmetics is the most valuable asset you possess. 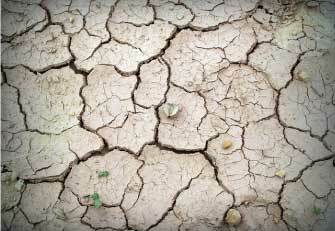 But on the contrary, if you are an acne sufferer as well, cosmetics can be a great hurdle in achieving a spotless skin. No doubt, makeup can hide your acne in minutes. But if you don’t make sure that you’re actually using a non comedogenic foundation or concealer, you’ll mess up. 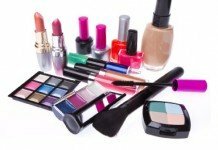 Many times the makeup wearers don’t realize that they might be allergic or sensitive to some ingredients of the cosmetic product. The components of make-up block the skin pore that has a tremendous effect on the follicles. 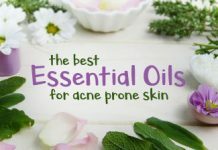 And besides, the essential oils used in these products can again cause the overproduction of sebum causing a bacterial attack to the skin. Thus, you should ensure oil-free cosmetics and non-comedogenic products for your palette to reduce the chances of acne. Apart from this, the careless attitude towards removing makeup properly is one of the biggest issues which worsen the acne skin. So, it’s better to change your habits instead of regretting later. 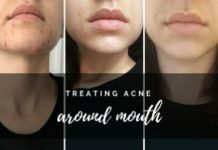 For those of you more concerned, I have published a dedicated blog post on how to get rid of acne cause by cosmetics. Do check it out. It is alright to become accustomed to some of the drying products for acne. But rushing on them is not a good idea especially if your skin is acne and dry skin combination. Sulphur, benzyl peroxide and salicylic acid are the usual drying ingredients when it comes to acne. 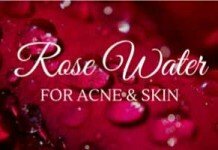 These ingredients have proven to be the most helpful ones but despite all this, many people start rushing on them without even knowing that whether their skin is oily, moderate or dry which puts them in trouble. Since these ingredients are harsh in nature, the use of all of them at a time can be too aggressive for your skin. You might be wondering that who in the heaven’s sake would opt for all three in one go! The answer is obvious, that no one would unless they don’t know that one is in their cleanser, second is present in their moisturizer and third is a part of their acne treatment. The better alternative is tuning the frequency of the use of these products. Once or twice in a week is more than enough. It makes sense to change a particular product when it doesn’t work out for your acne prone skin. But that does not mean that you need to keep changing it regularly if you are facing breakouts. When it comes to your skin care regimen, the simpler, the better. Stick to simple products like cleansers, sunscreens, and moisturizers to take good care of your skin. That’s it. 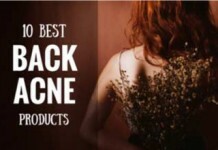 Each of these blog posts will help you pick a product that perfectly matches your skin condition. They’re likely to bring in a lot better results than random products you’ve used up till now. And you wouldn’t hopefully need to switch products as often as in the past. You’ve heard smoking damages lungs. Now hear that it can also aggravate your acne. Smoking is the habit that stimulates a vicious cycle of different diseases and health problems and it definitely includes the acne ailment too. 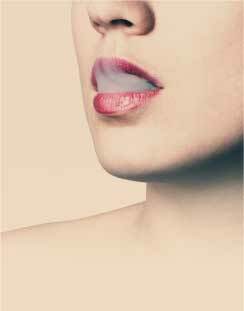 Smoking greatly changes the way your skin looks over a gradual period of time. The constituents of cigarette generate free radicals, degrade skin proteins and reduce the collagen production causing the skin to lose its elasticity. That is the reason why smokers suffer from wrinkles, dry skin and premature skin aging. The decrement in the collagen production turns the skin pores larger due to which sebum and bacteria can easily invade your skin. And the later consequences are aggravated acne. Your midterms are starting in a week and you are not prepared for the oh so mind boggling scary questions and more importantly you are not in the state of listening to the daunting remarks of your teacher and all you’re doing is stressing out and building anxiety. Or it could be that your boss is not satisfied with your presentation and he has given you a warning. Your job is at stake and you are greatly tensed with the situation. You may even have a totally different reason for stressing out. But as an acne sufferer, we have to learn the art of avoiding stress. Have you noticed that your complexion stresses out along with you, giving rise to the eruption of pimples and acne cysts? 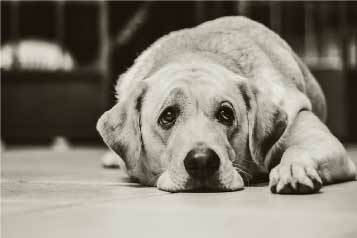 Stress causes hormonal imbalances and fluctuations. The stress hormone (Cortisol) causes the skin to produce excess oils which lead to black heads and blemishes. Take a chill pill; plan your schedule and work accordingly to save yourself from this stressful dilemma. Even if it isn’t your exams that are bothering you, you still need to calm down on things and list down the possible solutions for your problems rather than overthinking them. Enough of this scaling down as you might feel bounded, not to do this and not to do that. Let’s focus on what should be done instead of what shouldn’t be! 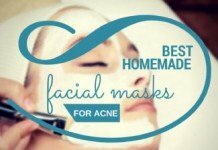 There are certain hacks and habits that will prove really very helpful if you are suffering from acne or even if your skin is vulnerable to it. That brings us to the end of the first part of this blog post. 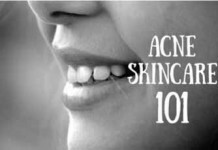 We’ll now discover the best skin care tips for acne that are proven to bring best results. 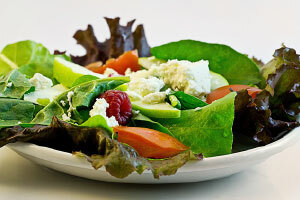 It is very important for acne sufferers to keep a strict check on their diet. 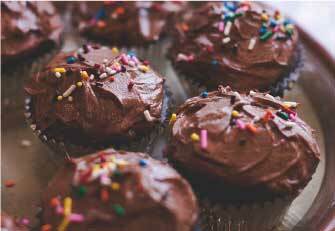 Foods such as those which contain high sugar levels or are too saccharine raise the blood glucose levels. This high sugar level triggers the insulin which in turn leads to the production of pore-clogging cells. It even activates the sebaceous glands to secrete more sebum (oil). Foods to be avoided in excess include sugar, white rice, white bread and pasta, and those greasy foods we outlined above. Though, you shouldn’t cut on them completely as once in a blue moon is fine. But it is more preferable to avoid them and to be inclined towards whole grain cereals, pulses, vegetables and beans. Make your words saccharine, not your bloodstream. Having substantial intake of water is beneficial in several ways and specifically one of them is healthy and flawless skin. The fluids present in our body contribute to our organs in two primary functions: to carry enriched nutrients and to flush out toxins and waste products. The bacteria trapped in the layer of your skin needs to be flushed out with the help of adequate amount of water in the body which is only possible if you stay hydrated. Though, staying hydrated has no direct connection with the sebum production in the skin, the skin cells require water to function properly. 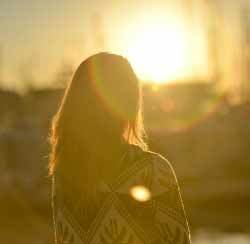 Going out into the sun in the summer is one of the most exciting yet difficult phases for each one of us. Alongside having fun you face the scorching heat of the sun. So, all those acne sufferers out there you need to take great incentives to save your skin from the melting sun. 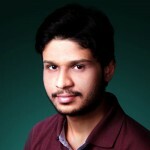 Sweating is the phenomenon which is a must when it comes to hanging out in summers. Sweating causes the clogging of the pores, allowing the acne causing bacteria to flourish. Moreover, sun tanning is one of the major causes behind skin cancer. So, this all pose a serious threat to your acne skin – making safety measures an essential step to be taken. And the first thing which pops your mind when you think of protecting the skin from the sun rays is obviously a sunscreen. 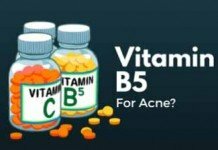 This post will help you find an acne sunscreen that tailors to your skin: 15 Best Sunscreens for Acne Prone Skin. If acne strikes out just before any special occasion or before any business meeting or formal gathering, you might become conscious of your look as skin speaks volumes. When you need to encounter such a situation the best possible hack could be trying a liquid concealer designed for acne prone skin. Blend different shades of concealer for the only light or the darker one can make your pimple more highlighted or stand out. Make sure to try the one that contains more pigment so that even a thin layer could provide a soft and flawless skin for your significant day. Furthermore, right after attending the situation ensure the removal of the concealer so that you do not get excess oils on your skin! That might provoke the sebum production. Though this hack doesn’t sounds much appealing for guys they can check out for other options enlisted here. When you know that your skin is acne prone you need to pay great attention towards cleanliness and hygiene because you need to protect it from the invasion and colonization of bacteria. 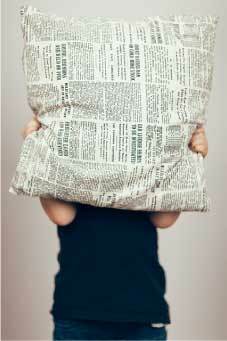 The thing you must be careful about includes the changing of your pillow cases frequently (at least twice a week). Pillow case is the thing which comes first in the list of “what comes in contact with your face” because this is a prolonged contact. Usually, one takes at least 7-8 hours of sleep and in this duration the skin is repairing and revitalizing itself. When you don’t take hygiene measures the bacteria present in the pillow cases comes in contact with the skin and within 7-8 hours the bacteria has enough time to replicate itself and cause acne and skin infection. It’s better to use an anti-bacterial detergent for washing the pillow case as it ensures the absence of bacteria and besides, washing every now and then can prove very helpful. The biggest blunder people make is that they start self-medication. When it comes to your skin, you shouldn’t take risk. If you suffer any kind of acne you must consult a dermatologist. Any suggestions from your friends or any known one may not be appropriate for you. Your skin differs from others and so does the range of medication products that are suitable for your skin type. 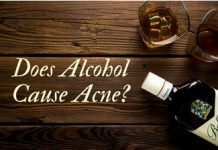 It also depends on the acne type you are suffering from because sometimes acne forms are harder to kick away and for that the dermatologist recommends stronger medication like Retin-A or Accutane. A dermatologist would not only prescribe you to treatments and skin care products but will also monitor your progress for healing and help you in preventing further pesky pimples. By adapting a healthy lifestyle with the help of all the points mentioned above you can easily make it from acne prone skin to a spotless skin in a short span of time. 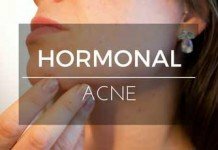 All the useful and harmful habits to avoid along with some great acne skin care tips are on your palette. So, try them out to bring down your frustration and defeat the vicious evil pimples invading the happiness of your mind.